Learn everything you need to know about fitting your home with the best windows and doors from Milgard. Home improvement projects are an investment of time and money, so making informed purchasing decisions is vital. 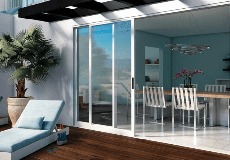 Before all that begins though, there are many necessary steps to take in order to most effectively plan and see through your windows and doors renovation. Below you will find a variety of resources to help you start your project, understand expectations, budget and more. With Milgard windows and doors, you are guaranteed quality products, leaving your mind free to focus on getting the project done well. Begin by learning what is important to consider as you start your project. In either replacement or new construction projects, you will often work with at least one professional. Once you have selected your new windows and doors, it’s time to begin installation. Tips for establishing and managing your budget. Get a pricing quote on your window or door project from a Milgard Certified Dealer today. A six-step checklist to ensure everything is complete after the installation.